A recent anniversary celebration brought us outside Austin city limits. 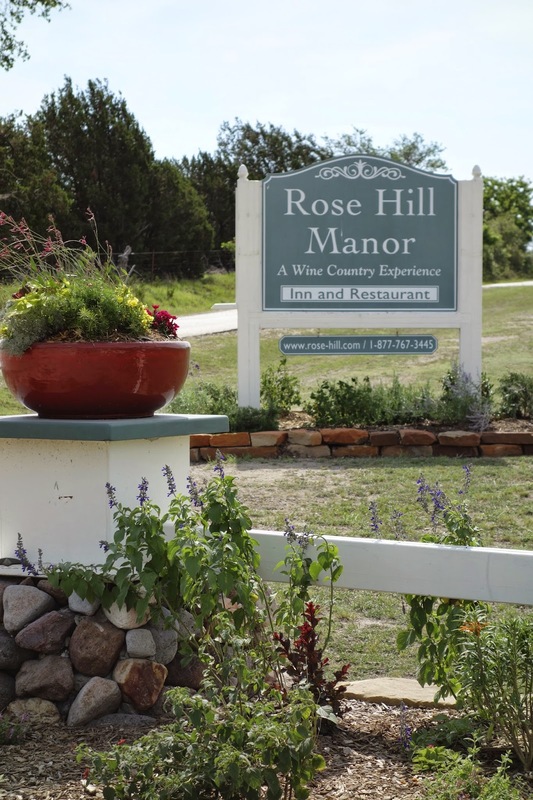 Nestled in the hill country, Rose Hill Manor is a southern hospitality Bed & Breakfast that truly shines in the Lonestar state. To start - Asparagus tips with a bacon vinaigrette, red onion, and crumbly soft feta cheese. Second course - A crepe stuffed with chicken and drizzled with a blueberry sauce. Totally French, and totally delicious. For dinner - he got the beef, she got the crab cake. Both beautifully cooked to perfection and accompanied by complimentary reduction sauces. Dessert was a deliciously fresh strawberry shortcake with homemade vanilla ice cream melting on top. 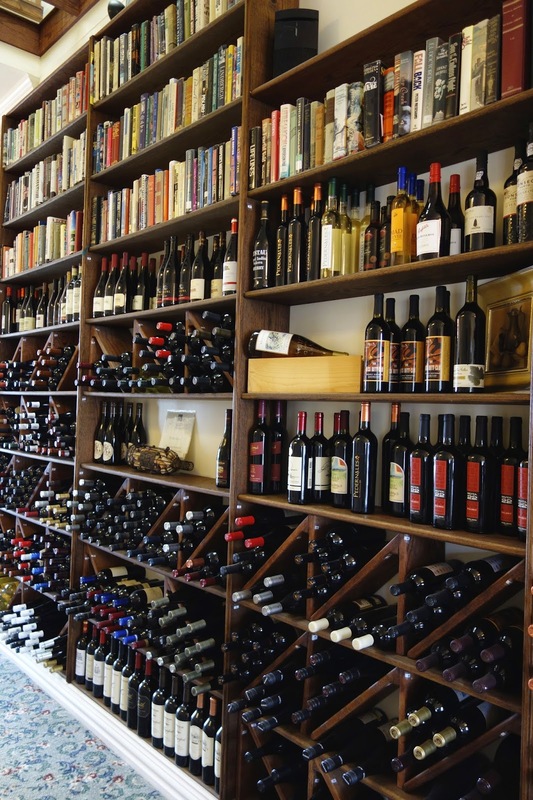 For nighttime entertainment, not only are the bookcases lined with plenty of reads and an array of movies on DVD to take back to your room with you, but those same bookcases are stocked with bottles of vino to be charged to the room, should you happen to desire a nightcap. The views are spectacular, being in the country and all. or Fresh Fruit with yogurt and granola. Or everybody's favorite - fresh Blueberry Pancakes with bacon maple syrup. Both served with a mighty breakfast sausage. Thank you Rose Hill Manor, we will come again soon.